World's NO.1 fast UHD video converter - Download & convert 4K/HD MP4 AVI MKV in a flash. Hardware accelerated, get job done in seconds! 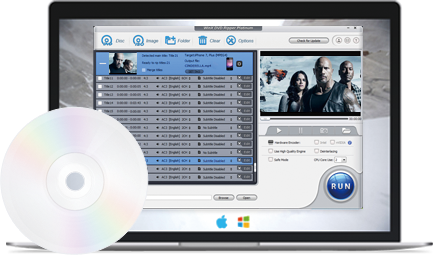 Digitize your old/scratched/new DVD collections to playable video files on PC and mobiles. Rip DVD to MP4, WMV, MP3, etc, in 5 min. 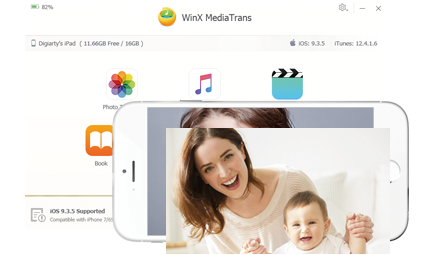 A hassle-free iTunes alternative for Windows to edit, add, delete, unchain DRM and transfer iOS files in multi-way. No more file "disappearing"! Which three features of VideoProc interest you the most? Convert: transcode videos audios DVDs, 420+ profiles. Merge multiple video audio subtitle tracks to MKV. Process large / HFR / 4K video files fast. Compress a video file size as high as 90%. Deshake and denoise action cam videos. Download (Live) videos, music and playlist online. Record computer screen and/or facecam. Easy to use: one click & multi-task at one go. Customize video audio quality and size like a pro. Deliver high quality result with super FAST speed. Tick 1-3 options and submit. Thank you!